It’s Friday evening. You’re ready to sit back and relax in your bubbling, steamy hot tub. You’ve got a fresh towel, a cold drink, and a salty snack all ready to go. You remove your hot tub cover, only to find the water is ice cold. Or maybe your water is fine, but when you turn on your jets, nothing happens. Or maybe when you turn on your hot tub, the breaker trips. Or maybe your pump kicks on and produces an ear-splitting screech. Whatever the problem, your Friday night is not working out the way you’d hoped. 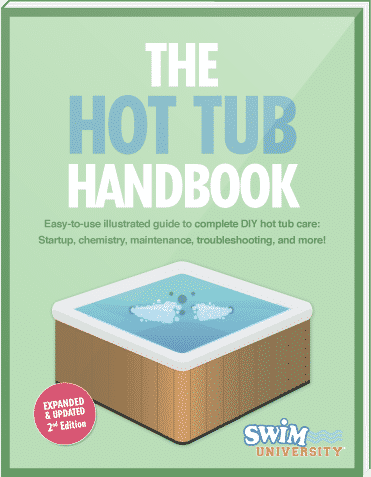 Before you panic about what it’ll cost to get a repairman to fix your spa on the weekend, try a little DIY hot tub troubleshooting first. Several common hot tub issues have simple solutions you can handle on your own. Possibly the most frustrating problem you can run into is when you want to soak in your spa, but discover the water is ice cold. A hot tub without hot water is just a tub. Narrow down a possible cause by first determining whether your water is staying cold or getting warm, then cooling down. 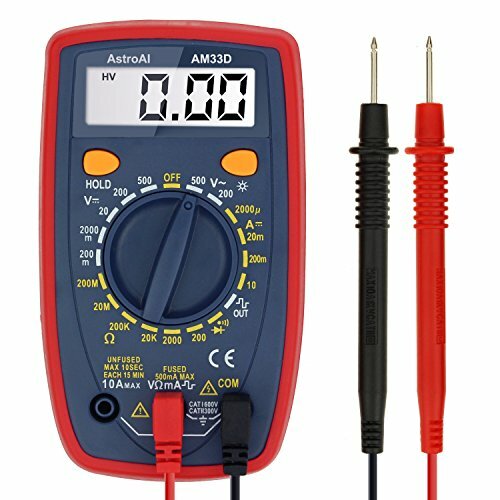 Before you do anything, grab your multimeter If you click this link and make a purchase, we earn a commission at no additional cost to you. . It can help you quickly identify the culprit by testing the electrical components. You’ve got no heat, no matter what. First, check your water level. Then, look for clogs in your circulation system, and wash If you click this link and make a purchase, we earn a commission at no additional cost to you. or change your filter. While these may seem like mundane solutions, they’re also the quickest and least expensive, so always try them first. Next, flip your heater breaker off and on, or just hit your heater’s reset button. If the high limit switch shut your heater off because your water got too hot or you have air trapped in your lines, resetting the heater will get it going again. If you’ve just refilled your hot tub, you may have an air lock, which is when air gets trapped in your plumbing lines, and impedes the flow of water, which will keep it from heating up. Lucikly, fixing an air lock is a fairly easy task. Still no heat? 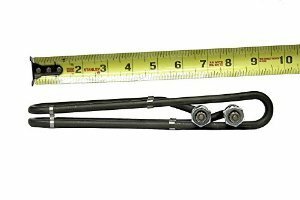 You could have a bad heating element If you click this link and make a purchase, we earn a commission at no additional cost to you. . If you’re confident in your skills to troubleshoot your hot tub heater, you can remove the heating element and check to see if it looks burnt. If it needs replacing, you’ll want to hire a pro unless you’re comfortable doing this type of work yourself. If your hot tub temperature is all over the place, you could have water flow problems. Start by cleaning your filter, checking for circulation blockages, and topping off your water if necessary. Check whether your pump turns on. Your pump has to be running in order for the spa to heat up. If the pump isn’t working, you may need to replace it If you click this link and make a purchase, we earn a commission at no additional cost to you. . The problem could also be with the heater itself. If the pump is working, and the heater is on, but the water still won’t stay at an even temperature, you may need to replace the heater If you click this link and make a purchase, we earn a commission at no additional cost to you. .
Heater and pump working fine? Next check your thermostat If you click this link and make a purchase, we earn a commission at no additional cost to you. 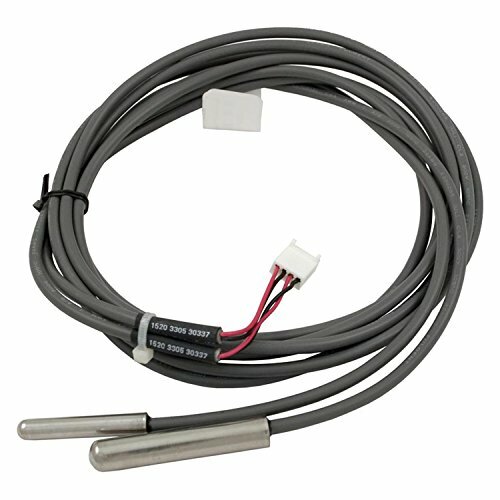 and heat sensors If you click this link and make a purchase, we earn a commission at no additional cost to you. . Your high limit switch has one or two sensors that shut off your heater if the water temperature gets too high. If they’re fried, your heater may not operate properly. Similarly, if your thermostat needs to be replaced, it won’t accurately trigger your heater to kick on when the water temperature dips. If you’ve done all these things, and still can’t diagnose and correct the problem, it’s time to bring in a pro. But maybe wait until Monday so the hourly rate isn’t so high. If you wanted to lie around in warm, unmoving water, you’d just take a bath. One of the best parts of soaking in a hot tub is using the jets. But if you’ve got nothing coming out of your jets, don’t fret. Try the easiest and least expensive solution first: turn each of your jets to make sure they’re all wide open. Also check them for debris such as calcium buildup, and clear them If you click this link and make a purchase, we earn a commission at no additional cost to you. if necessary. Top off the water, clean your filter, and check for plumbing line clogs. Did you recently refill your hot tub? If so, you could have air lock. You can turn your jets on and off a few times to try to force the air out. You may also loosen the top fitting on your pump just until you hear air escape and see a bit of water, then tighten it back up. Important: No matter what you may have heard, we do not recommend using a plunger on your jets. The force of plunging may damage your circulation system. It may also void your warranty. Then you really will be paying a bunch of money for repairs. Though they indicate something is going wrong, error codes can be confusing—and they don’t necessarily tell you the cause of your problem. Your manual will contain many error codes, but five codes show up most often. As you may’ve guessed, this code appears when you’re hot tub is having flow problems. You might see this code if your jets are misbehaving. Check for blockages, and clean or replace your filter If you click this link and make a purchase, we earn a commission at no additional cost to you. . If that doesn’t help, check to see whether your circulation pump has power going to it. If it does, and it’s still not working, it may be time to replace the circulation pump If you click this link and make a purchase, we earn a commission at no additional cost to you. . This code may also mean your pressure switch needs to be replaced. Its job is to shut off the heater when water pressure is low, so if your water is flowing, but you’re still seeing the FLO or FLC error codes, it could be the pressure switch. Important: If you’re comfortable working with electrical components, you may be able to address these problems yourself. However, if you’re at all unsure, call a pro. Your safety is more important than a quick soak in the hot tub. Do not use your hot tub when this error code pops up. It means the water is too hot, and may even scald you. The possible causes are plentiful, but you can check a few simple things. 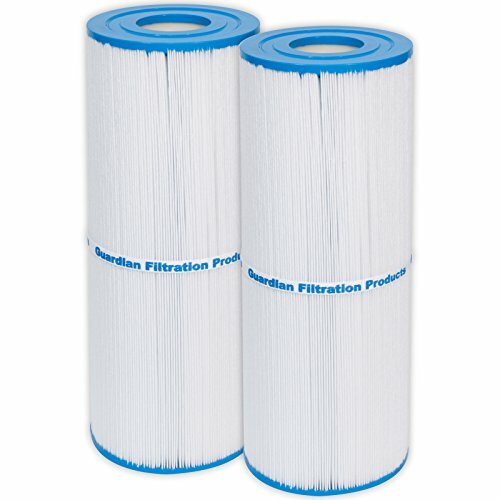 Clean your circulation system and filter. If your hot tub is outside, and you’ve had hot weather, be sure your spa cabinet is staying cool enough to avoid overheating the motor. Also make sure your pump isn’t running for extremely long periods of time. Check and replace the temperature sensor If you click this link and make a purchase, we earn a commission at no additional cost to you. if needed. If the water isn’t hot, but this code is on your display, it’s a good idea to call a pro to see what’s going on. If not enough water—or worse, none—is traveling through your heater when it kicks on, it can cause what’s known as a dry fire where the heating element is damaged. This commonly occurs when your water level is too low. Topping of your hot tub may be the only solution necessary. 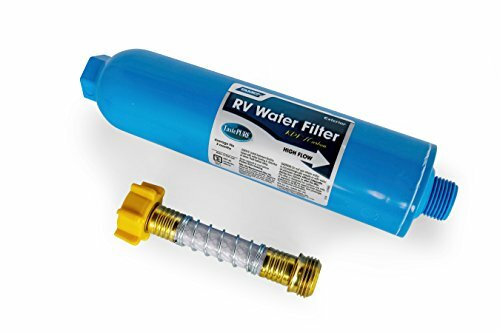 Remember to use a hose filter If you click this link and make a purchase, we earn a commission at no additional cost to you. 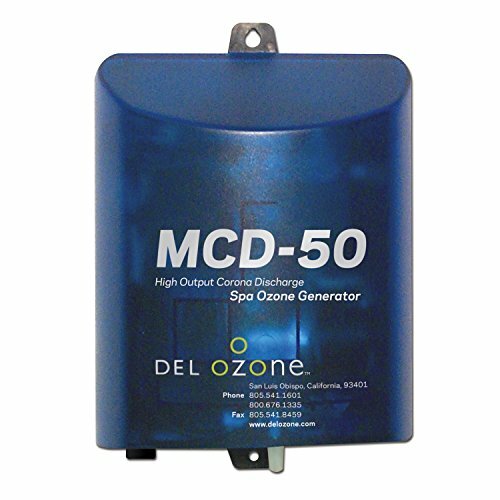 to keep impurities out of your spa and plumbing system. Make sure your circulation system is free of debris before restarting. If the problem persists, call a pro. When your hot tub water temperature drops 20 to 40 degrees below your set point, this error code shows up. 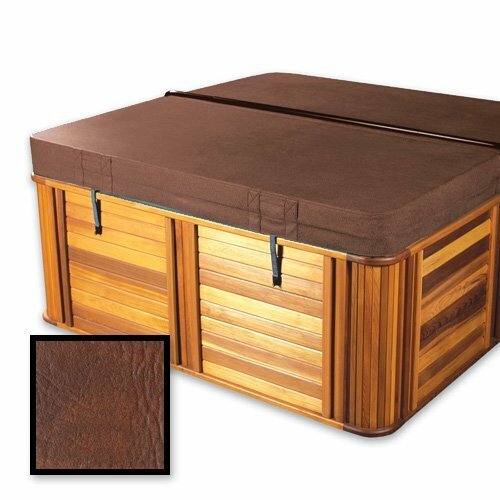 First, put your hot tub cover If you click this link and make a purchase, we earn a commission at no additional cost to you. back on and let the heater do its job for about 24 hours. If, after that period, your water is still cold, try the solutions for when your hot tub won’t heat up, such as resetting the heater and checking your sensors and thermostat. This code is an abbreviation for sensor, and the letter (or sometimes a number) indicates which sensor is malfunctioning or out of balance. It can also appear when the connection between the sensor and circuit board is wonky, or when your circuit board is fried. In this case, you may need to replace the sensor If you click this link and make a purchase, we earn a commission at no additional cost to you. . If you’re uncomfortable working with electronics, call a pro. 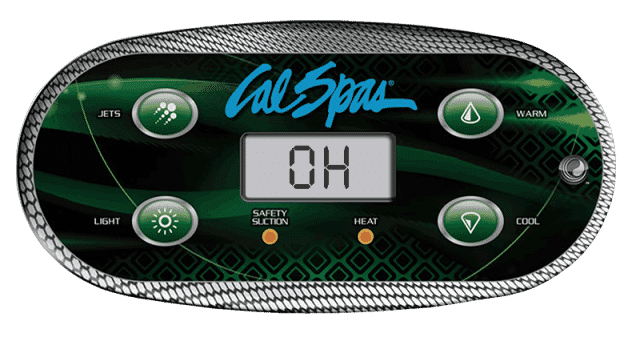 Your hot tub control panel can display several other codes. To learn more about them so you’re better able to troubleshoot your hot tub, keep a list of them near your spa. Someday, you may be nearby when your hot tub kicks on and notice one of two distinct sounds: a growling, grumbling noise, or a high-pitched squeal. When it sounds like bear cubs wrestling inside your spa cabinet, your pump is probably struggling for water. Clear any clogs from your circulation system. Top off your water. Make sure any valves near your pump are open. This loud, metallic whine is the telltale sign of bad bearings. You may continue using your pump safely, but the noise will only get worse. First, try lubricating the bearings, but eventually, you’ll probably have to replace the circulation pump If you click this link and make a purchase, we earn a commission at no additional cost to you. . Or start using your hot tub with earplugs. A whole host of possible culprits for a tripped breaker means you could spend quite a lot of time on hot tub troubleshooting, and less time soaking. A hot tub GFCI breaker trip is common and usually easy to fix, but any troubleshooting and repairs require you to work with electricity. If you’ll be working on it yourself, remember to turn off the breaker before you begin, and be sure you’re not touching anything wet. Important: If you’re unsure what you’re doing, or you don’t know how to work with electrical systems safely, this is definitely the time to call a pro. 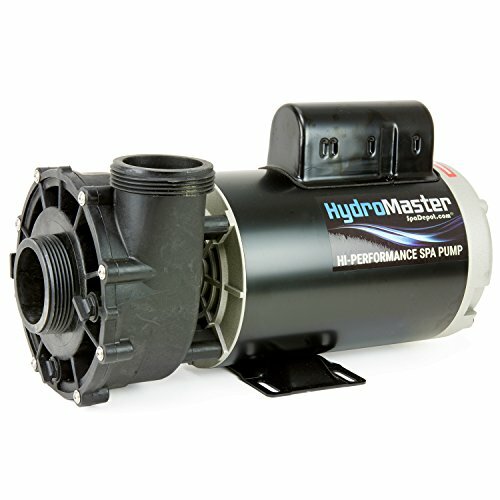 One quick way to narrow down your problem is to unplug your pump, heater, blower, and ozonator If you click this link and make a purchase, we earn a commission at no additional cost to you. . Then turn on the breaker without anything plugged in. If it trips, you could have a worn breaker. If it doesn’t trip, plug each item back in one at a time. For each item you reconnect, flip the breaker, then turn on your spa. If your GFCI trips, the component you just reconnected (or the wiring to that item) is the culprit. Once you know which part is causing problems, you’ll need to figure out why. Most likely, it’s one of four common causes. Safety first. Examine the area around the breaker box for water before you start unplugging anything. If you find moisture on or around the breaker, identifying and fixing the source of the moisture may be all you have to do to keep your breaker from tripping. After all, the purpose of the GFCI is to protect you from electric shock around water. Moisture can result from splashout, rain, or leaks, and may be fixed by moving your breaker box farther from your spa or putting up a barrier between the hot tub and the box. All your electrical components have wires and connections which can corrode. Grab a good flashlight, and inspect all these areas carefully. If you find corrosion, you’ll need to replace the damaged part(s), or hire a pro to do so for you. While you’re searching for corrosion, ensure that all the electrical connections are secure. Give wires a gentle tug to check their connections. Also keep an eye out for other signs of damage, such as melted or burnt wires. Again, unless you’re experienced with electrical wiring, you’ll want to hire a spa pro or electrician to correct these problems. Regardless of how well you take care of your hot tub, you’ll eventually need to replace the heating element If you click this link and make a purchase, we earn a commission at no additional cost to you. . It’s simply a component with a finite lifespan. This one of the most common reasons your breaker might trip. To determine whether this is what’s causing the GFCI breaker to trip, loosen the nuts on top of your heater to remove the electrical connections. Flip the breaker again and see whether it trips. If it doesn’t trip, you’ll need a new heating element. You may also test the element for a short using a multimeter If you click this link and make a purchase, we earn a commission at no additional cost to you. , or pull it out and inspect it for signs of dry fire. Regardless of whether it burned out or has a short, you’ll still need to replace it. Aside from not having heat in your hot tub, weak or low water flow is a huge bummer. If the water’s not moving, you may as well be sitting in your bathtub, right? Luckily, the causes are few, so you should be able to identify the problem pretty quickly. A dirty or worn out filter can prevent the water from flowing the way it should. Check the filter for damage. If it looks OK, give it a good cleaning. If it’s starting to show signs of wear and tear, consider replacing it entirely If you click this link and make a purchase, we earn a commission at no additional cost to you. . The water can’t flow if it’s too low. Check the water level to make sure it’s where it should be. If it’s not, add water, and then run a test to see if the flow returns to normal. Is the hot tub pump running? If so, the problem is elsewhere. If it isn’t, use a multimeter If you click this link and make a purchase, we earn a commission at no additional cost to you. to check whether the pump is receiving power. If it is, but the pump still won’t work, it probably needs to be repaired or replaced. If it isn’t, you might have a bigger electrical problem on your hands. Important: Remember, electricity and water don’t mix. Not everyone is an electrician, and that’s OK. If you aren’t comfortable working on these systems, please call a professional. After you change the water, or when you’re opening your spa for the season, you may encounter a hot tub air lock. This means air has gotten into the plumbing lines, and is preventing the water from flowing the way it should. Bleeding the air out of the system will fix a lock. Look for small bleed screws at the end of the pump, and open them all to let the air out. Some systems may have a screw on top of the pump as well. Once you bleed the air out, turn the hot tub on and see if the water flow has returned to normal. In some cases, you may have to bleed the system more than once to get all the air trapped in your hot tub’s system. Important: Always make sure the system is off when you’re bleeding air out. Also make sure you close bleed screws quickly to prevent water from spraying once the air has escaped. Sometimes, you may notice you have good flow out of some jets, while some jets are barely limping along. In this case, check for worn out jet seals, and then check all nozzles for any debris that could be blocking the flow of water. 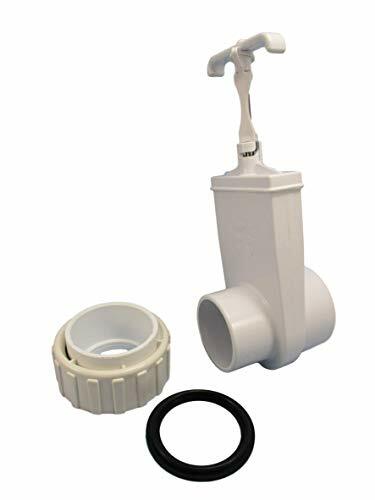 If the problem is occurring in all of the jets, look for broken gate valves If you click this link and make a purchase, we earn a commission at no additional cost to you. , and double check your water level to be sure it isn’t too low. Check the wet end of your pump to see if something is blocking the water flow or to see if you have a broken propeller. If you use an ozonator, give the valves a good look, and consider bypassing it for testing purposes. In some cases, the valves connecting the ozonator to your hot tub can begin to wear out or can become blocked by debris. Clean them out or replace them, and then test the system to see if the water flow returns to normal. If not, you may need to replace the ozonator If you click this link and make a purchase, we earn a commission at no additional cost to you. .
Age, wear, and tear will eventually take a toll on your hot tub and its parts. You’ll need to occasionally replace parts through no fault of your own. But you can avoid some of the most common problems by taking proper care of your spa. Create and stick to a hot tub maintenance schedule, including balancing your water chemistry on a regular basis. Top off low water levels as soon as you notice them to prevent error codes, sputtering jets, and even dry fire. Look for problems before they complicate your life, opening your cabinet once in a while to check for signs of wiring damage or leaks. When you’re ready to use your hot tub, but something has gone awry, remember to check the common-sense solutions first. Adding a little water and cleaning your filter can go a long way toward fixing a lot of hot tub bad behaviors. If your hot tub troubleshooting starts to get you into repairs that are over your head, don’t be afraid to call a professional. Getting a problem fixed correctly the first time can save you a lot of headaches—and money—down the road.